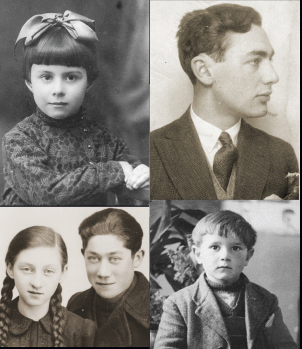 The Library and Archives preserve and make available to the public the historical record of the Holocaust and support the Museum’s wide-ranging efforts in the areas of research, exhibition, publication, education, and commemoration. Access to both published and unpublished materials is available from within the Library and Archives reading rooms. Because of the special nature of materials in the collections, patrons are asked to observe the following policies and procedures. On this page you will learn about ways to plan your visit to the Museum and prepare for conducting research on-site. If you are interested in remote research assistance, or cannot plan a visit to the Museum, please search in our online tools and then consider asking for assistance. The reading rooms are closed on federal holidays and Yom Kippur. No appointment is necessary to visit the reading rooms or to use library materials, however, because of research workshops, group visits, or other special events, it is encouraged to contact us when scheduling your visit. Many collections materials are not stored in the library and may need advance preparations to be accessible. If planning to use archival collections, patrons should contact us prior to arrival. Student groups interested in conducting research in the library as part of a trip to the Museum should contact the reference librarians in advance of the visit. Most often groups can be accommodated by splitting time between tours of the exhibitions, the Museum Cafe, and the reading rooms. Please contact us in advance and review information on how to Plan Your Visit. With advanced planning, it may be possible to schedule a research consultation with a Museum staff member who has expertise in your subject matter. Please provide details of your interest and the dates you hope to visit the Museum and reference librarians may be able to connect you with a staff expert. Many steps of the research process can be completed prior to your arrival at the Museum. Advanced planning on your part will increase the amount of time you will have to work with the materials when you arrive on-site. To identify materials of interest to you—both published and unpublished—use our online tools. Unless otherwise specified in the Library and Archives catalog, all Library materials are available on-site and do not require an appointment or advanced arrangements for use. On the other hand, archival materials are stored in various locations based on their preservation and housing needs and do require more time to prepare for a user. Therefore, whenever possible, you should request specific materials from the reference staff in advance of your arrival. In order to examine archival collections, researchers are required to complete the researcher registration form. Valid government-issued photo identification is required. Researchers should review the reading room policies prior to registration. 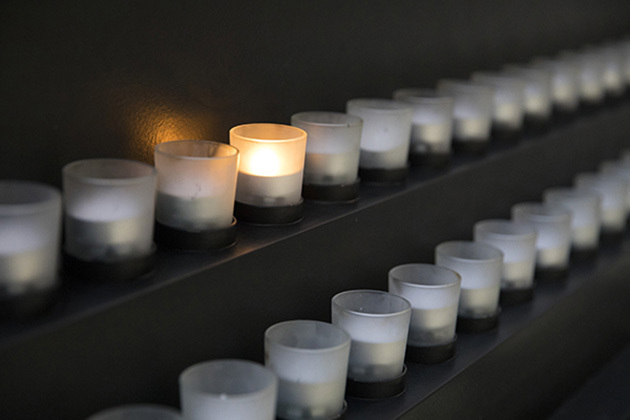 There is no single list of Holocaust victims or survivors; tracing an individual through the Holocaust is a process of piecing together bits of information from a variety of sources. When available, the name of the town in which a particular individual resided prior to the war provides the most fruitful entry point to the available resources and can indicate the proper sources or existing records. Please contact the Museum’s Holocaust Survivors and Victims Resource Center to seek information about family members and trace their history. All microform stations are enabled with scanners that create digital copies of materials rather than paper-based photocopies. Patrons are encouraged to bring a storage device, such as a USB thumb drive or portable hard drive, for use in the reading rooms. Personal laptop computers are welcome and the Museum provides a Wi-Fi–enabled network to support your research needs. Additionally, a scanning station and a photocopy machine are available for your convenience and USB storage devices can be purchased in the Museum Shop. Because of copyright restrictions, it is not possible for staff to produce duplications of Library materials in any format. Photocopiers and scanning stations are provided for “fair use” of materials by researchers. Depending on the restrictions placed on an archival collection by the donor or host institution, it may be possible to purchase a duplication of a reel of microfilm, a set of microfiche, or oral history interviews. Those interested should contact staff to make arrangements, or see Rights and Reproductions. The Library and Archives are set up primarily to support on-site research. Consequently, Library and Archives materials do not circulate to the general public, nor can they be loaned via inter-library loan. Please contact your local librarian to determine another source for the published items you are seeking or contact a member of our reference staff for assistance with a particular item from our archival holdings. To assist researchers in providing appropriate and adequate references and citations to Museum materials reviewed by researchers, we have created a detailed page of guidance on citations. Researchers who access the Library and Archives reading rooms represent one of the Museum’s key constituencies and your insight and feedback provide valuable guidance to the services we provide. If you have recently conducted research on-site, please take a few moments to complete the reading room survey. Resources and tips to assist you before, during, and after your visit to the Museum. Explore the Museum's many available research tools, including our Collections database and the Holocaust Survivors and Victims database. Find out more about the research resources available at the Museum.